Innovative education environments are evolving in response to new thinking on teaching and learning. Not so long ago, the norm was teachers delivering knowledge to students in isolated classrooms. Now, the emphasis is on community and the power of collaboration made possible by shared spaces. Amesbury School was developed as a new primary school on a green-fields site. It has learning spaces for 250 students now, and the capacity to grow the school's roll to 400 students in the future. 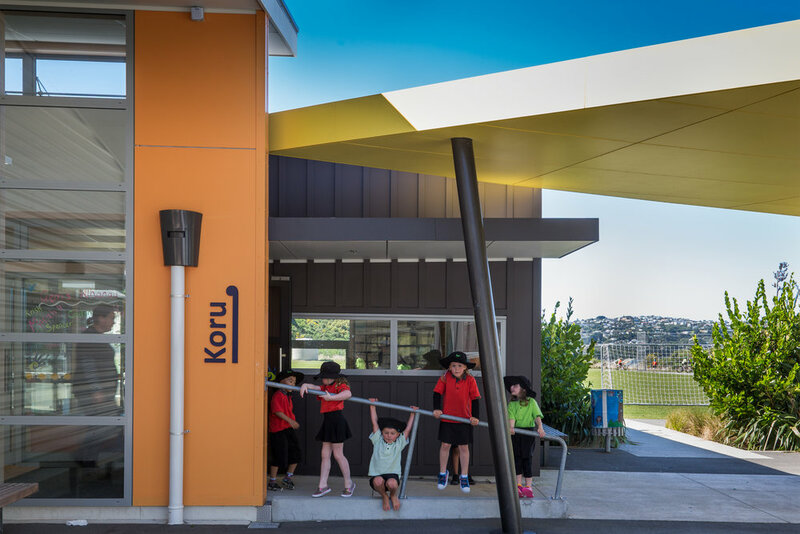 The vision for the project was to have as much of the school as possible under one roof; in part due to the cold windy local climate, but more importantly to create a gathering place to encourage engagement between the school and the local community. 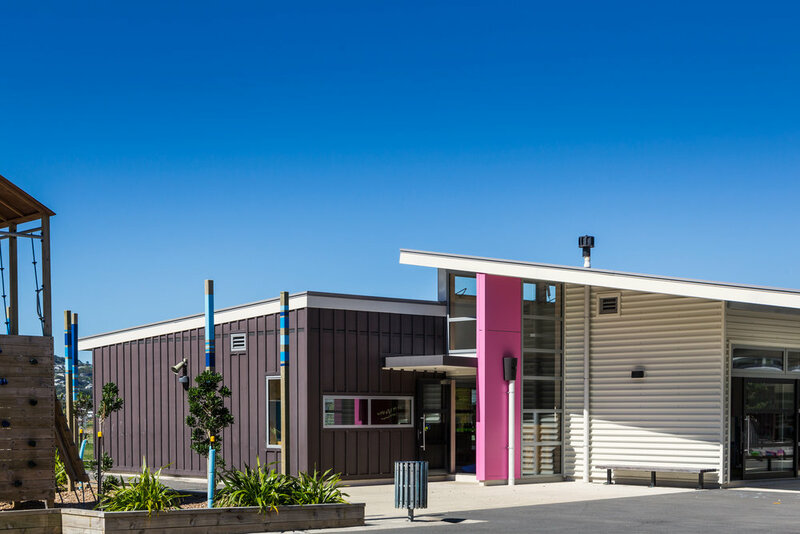 Today, Amesbury School is a ‘must see’ example of a 21st Century modern learning environment in Wellington. Learning spaces are vibrant, with individual character and challenge traditional ideas of both organisation and teaching. They also offer direct access to adjacent outdoor areas, and reinforce collegial and collaborative teaching practice. Our design focused on flexible use to meet teacher and pupil needs. Configurable spaces can be a classroom for 50 students, allowing 2 or 3 teachers to operate as learning mentors moving amongst students taking teaching to them, or become separate smaller rooms for quieter, more focused activities. Teachers, parents and students have welcomed the school as high quality, vibrant, robust and accessible. It is a place that the children, teachers and the broader community identify with, and have adopted as a valuable local resource.